Logan’s Nursery is Queensland’s premier grower of grasses, ground covers, shrubs and trees for the Australian landscaping market. They supply wholesalers, retailers, councils and landscape contractors Australia-wide. 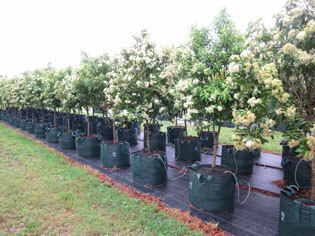 Logan’s Nursery grows plants in sizes from native revegetation tube stock through to huge 2000L containerised trees. They are also a licensed grower for the Ozbreed range of plants. The company's two sites comprise five acres at Chandler in Brisbane and a huge 280 acre site at Donnybrook (50 minutes north of Brisbane), which enables them to produce an extensive range of plants for the landscaping professional. 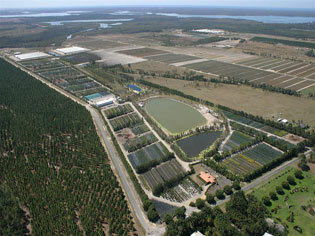 Logan's Nursery prides itself on growing quality products at realistic prices. 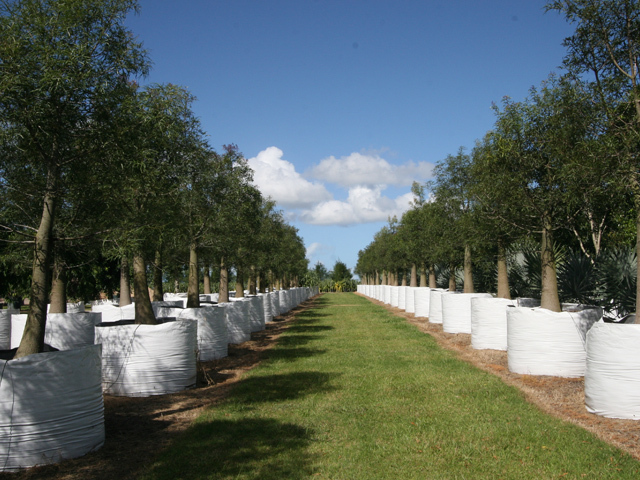 Their tree stock is grown to Natspec standards, and they are able to supply small landscape projects as well as large land development and commercial projects. Apart from the general range of plants, Logan’s Nursery has a great range of unique plants available. Enquire about their QLD Bottle Trees (Brachychiton rupestris) and their container grown Grass Trees (Xanthorrhoea). Both these species have been grown from seed, and our bottle trees are up to 15 years old. None of these plants were harvested from the wild and have been produced from our seed stock, collected from the existing plants in the company nursery. Logan’s Nursery has a dedicated fleet of delivery vehicles, enabling them to service a wide customer base throughout South-East QLD. In addition, they hold strategic alliances with a number of reliable plant transport providers that can facilitate delivery and unloading of plants Australia-wide.